To date the Killam Trusts have awarded over 6,ooo scholarships and fellowships to graduate students, postdoctoral fellows and faculty at Killam institutions across Canada. 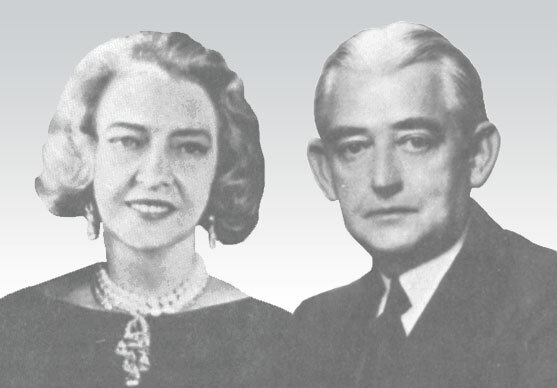 The Killam Trusts were established in 1965 under the Will of Dorothy Johnston Killam for the benefit of The University of British Columbia, The Canada Council for the Arts, Dalhousie University, Montreal Neurological Institute of McGill University, University of Alberta and The University of Calgary. In the realm of higher education in Canada the name Killam is synonymous with financial support for advanced studies. Here at UBC that support is distributed in a number of ways, via doctoral and postdoctoral fellowships, mentoring and teaching awards for faculty, recognition for outstanding emeriti, awards to graduate teaching assistants, faculty salary supplements, start-up funds for new initiatives and faculty research fellowships and prizes. Since the Killam Trusts were founded more than 2,000 UBC Killam professors, fellows, students and scholars have received support for their research and scholarship. Support that has been granted based on the criteria that a Killam scholar is one who has, or is likely to contribute to the advancement of learning or to win distinction in a profession. Each and every Killam scholar brings individual and unique contributions to the world, creating and disseminating knowledge that has global impact. In effect, for the UBC community, past and present, that means the word "Killam" has more than 2,000 unique definitions, one for each of the special individuals who have earned the distinction of adding the word "Killam" to their list of achievements. My purpose in establishing the Killam Trusts is to help in the building for Canada’s future by encouraging advanced study. Thereby I hope in some measure, to increase the scientific and scholastic attainments of Canadians, to develop and expand the work of Canadian universities, and to promote sympathetic understanding between Canadians and the peoples of other countries. In 2002, UBC created an endowed prize in memory of former Killam Trustee, Donald N. Byers. The prize is awarded to the highest-ranking Killam Doctoral Fellow in the annual Affiliated Fellowships competition. The award is made on the recommendation of the Faculty of Graduate Studies in consultation with the Affiliated Fellowships adjudication committee. In recognition of the valuable role that teaching assistants play in our undergraduate programs, the university annually awards teaching prizes to sixteen UBC Teaching Assistants. The prize includes a certificate and $1,000. Successful candidates will have met criteria that result in a high level of respect from undergraduate students and academic or course supervisors. Guidelines and application form for the UBC Killam Faculty Research Fellowships are available from the Office of the Vice-President, Research and Innovation. Guidelines and application form for the UBC Killam Research Prizes are available from the Office of the Vice-President, Research and Innovation. The Killam Teaching Prizes are awarded annually to faculty members in recognition of excellence in teaching. Established university-wide, the prizes are adjudicated within faculties under procedures defined by the faculties and approved by the Office of the Provost and Vice President Academic.